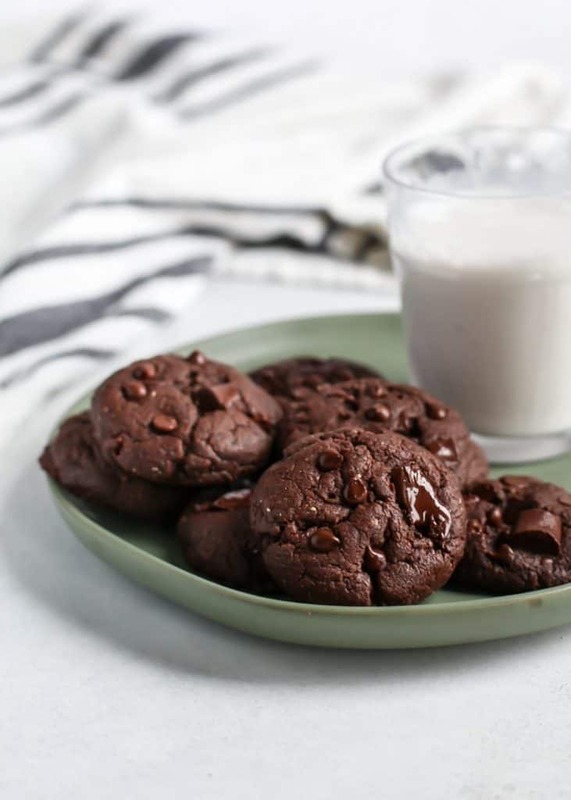 Vegan DOUBLE CHOCOLATE COOKIES. Made for the chocolate lovers out there. They happen to be made vegan using coconut oil, flaxseed and your favorite nut or seed butter. Also gluten-free friendly! Just use a 1:1 gluten-free flour or whole wheat white flour works too. Soft pillows of chocolate, right here! 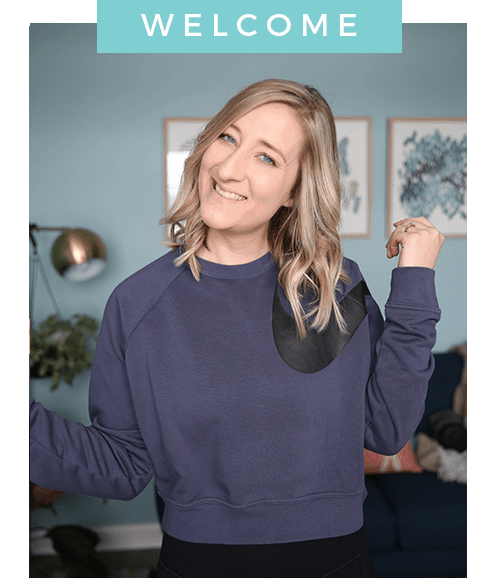 So this week has just been go-go-go… Anyone else?? It’s easy to get run down and caught up in the to-do list, but it’s also SO important to take a step back and just breathe. It is Thanksgiving week after all. 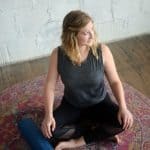 And though I do practice gratitude on a regular basis and have gotten so much better at staying positive, Thanksgiving really reminds us all to slow down and *actually* be thankful for what we have – our friends, family, jobs, home, etc. When I was in Ontario last weekend visiting one of my long-time friends, I realized how grateful I was that we have stayed friends for so long. We live in different countries (okay, a five hour drive/border away) and grew up together camping in the summertime. But we really only saw each other about three times a year on average. As we got older and our schedules busier, we were lucky enough if we saw each other once a year for a long weekend. Even though we don’t talk every day (technology/social media/texting these days) when we were together it was like nothing had changed. I got in about 8:30pm and we talked non-stop until almost midnight. The following day we went out shopping for bridesmaids dresses with her other friends in the wedding party. A couple of the girls came back to the house and we just hung out, drank some wine, had some major girl talk covering everything under the sun… We also played a game and got in the Christmas spirit by watching Love Actually <– only one of the best holiday movies ever, duh. Oh yes, as are cookies. Cookies are soooo good for the soul. 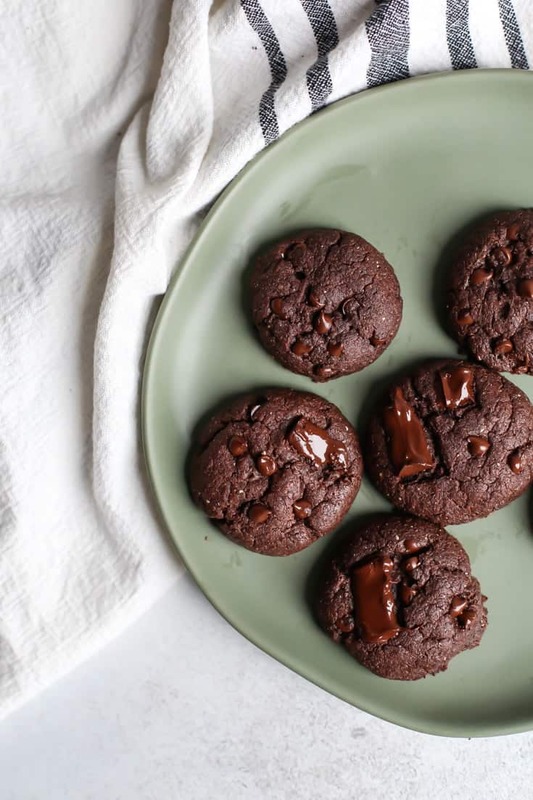 I made these double chocolate cookies for you and I even made them vegan and gluten-free. I feel like vegan cookies are hard sometimes because eggs truly do wonders for a binder – especially in thick cookies like these. 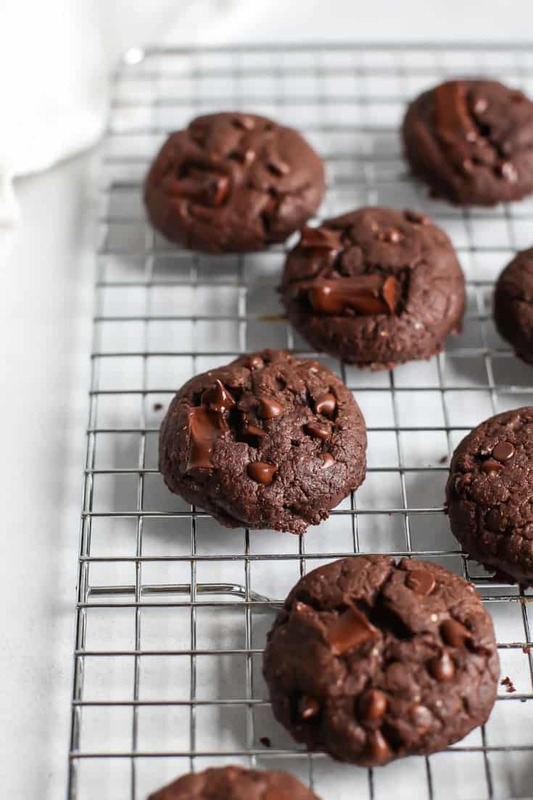 But with a little testing and using a flaxseed “egg”, these double chocolate cookies are ready for you. 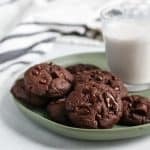 I used an electric mixer for this cookie recipe because I really wanted to make sure the ingredients were incorporated well. You may not think creaming the softened coconut oil with the sugar is a big deal but it does affect the texture of the cookies. 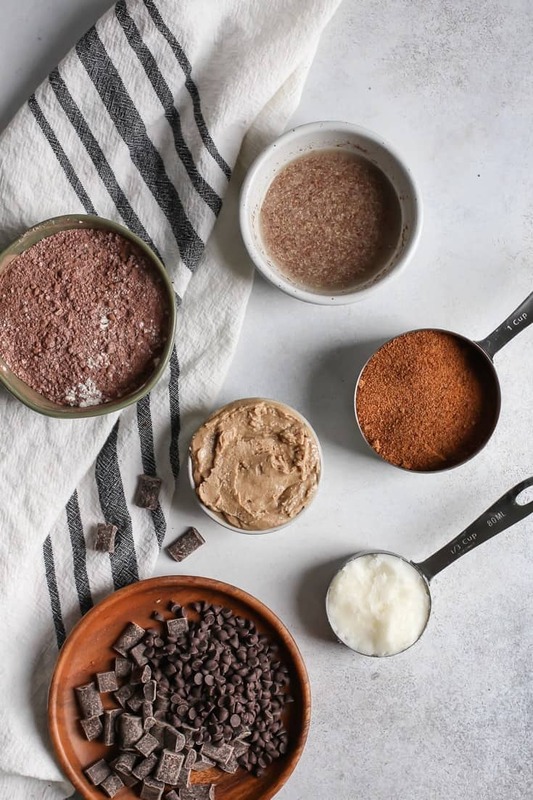 The creamed coconut oil and coconut sugar should look like the top left image below. If your coconut oil is liquid, try placing in the fridge for a little bit until solid but soft. Or if it’s too hard, place jar in a bowl of warm water until soft. After everything is mixed, the cookie dough should be somewhat soft, thick and not too oily. If the mixture seems dry, you can add 1-2 tablespoons of milk to help the dough come together. I used a rounded tablespoon to make the cookie dough balls, then gently flattened them before baking for about 8 minutes. I would make sure you don’t over-bake these or they’ll dry out and get crumbly. 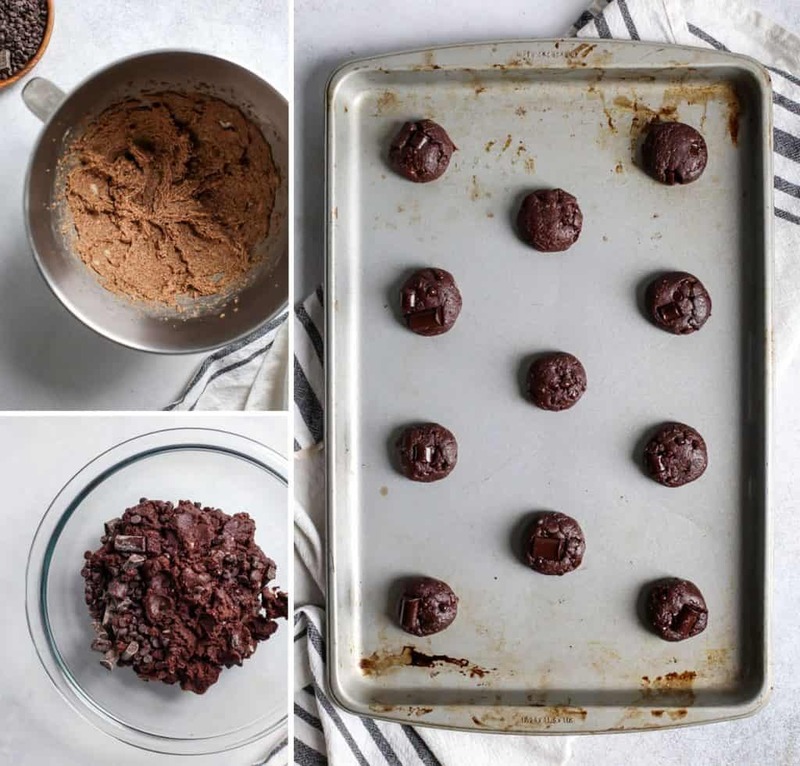 It’s hard to tell with dark cookies but try to be cautious here. They’ll cook a little bit while cooling on the baking sheet as well. And then you must serve them with your favorite glass of milk. 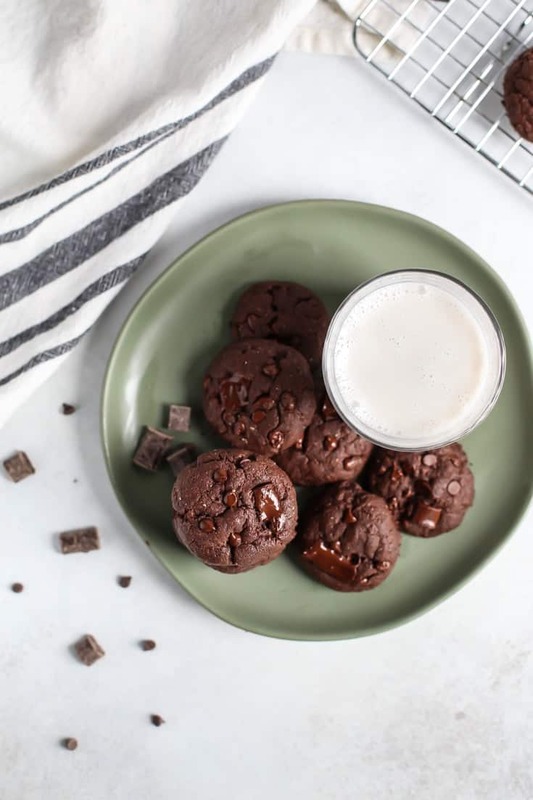 These DOUBLE Chocolate Vegan Cookies are gluten-free friendly, made with a mix of coconut oil and your choice of nut or seed butter, sweetened with coconut sugar and dairy-free chocolate chips. Preheat oven to 350ºF. Line baking sheet with parchment paper – I don’t recommend silicon mats when baking cookies with coconut oil. Combine flaxseed meal with water and let sit until gel consistency, about 5 minutes. In a medium bowl whisk together cocoa powder, flour, baking soda and salt; set aside. In a large bowl using electric mixer or paddle attachment of stand mixer, cream together sugar, oil and nut/seed butter until creamy. Coconut oil should be softened (not melted). See picture in post for what it should look like when done. This may take a minute or so. Add in flaxseed gel and vanilla; beat until smooth. Add in bowl of dry ingredients, mixing on low until combined. Dough should be moist and thick, but not sticky. You should be able to form a ball with your hands. Fold in chocolate chips using spatula. Using tablespoon, scoop dough into round shape. Roll cookie dough between hands until shaped, then place on baking sheet. Add chocolate chunks to top of cookie dough if desired. Gently flatten with palm of hand. Evenly space cookies about two inches apart. Bake for 6-8 minutes. Careful not to over-bake or cookies will dry out. I let mine bake for 7 minutes. Allow cookies to cool on baking sheet for 5 minutes before transferring to wire rack to cool completely. Enjoy! Store cookies in airtight container at room temperature, or feel free to keep in fridge. They taste great cold too! These look so chocolately and delicious!! The perfect treat! I made this recipe and loved it! My cookies turned out really oily so I think I did something wrong. Any suggestions? Can I sub the coconut oil for something else? It could be that you didn’t quite mix in the coconut oil enough (or perhaps it was too liquid-y?) or that you were a little shy on the flour. It’s hard to say without being there! I would store them in the fridge if they need to firm up. But if you wanted to use a softened dairy-free butter (or if not vegan regular butter) that could also work in place of coconut oil. The are delicious, but are WAY too liquidy and oily if done following the recipe exactly. I have tried many, many times, and am an adept cook. When I doubled the flour, and used only soy butter (no oil), they were perfect. I would suggest this to anyone who likes a firm cookie, or who even wants a little crunch. 5 stars if you take this and modify it. I would also suggest a longer time in the oven and a slightly higher temperature. Thanks so much for the feedback Lisa. Coconut oil can be a little tricky to work with so depending on the temperature, it could produce different results. But thank you for your comment! 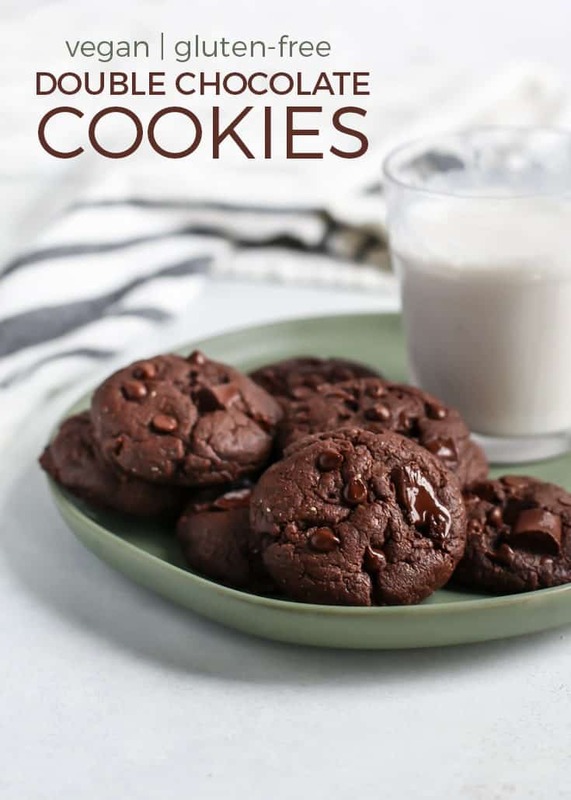 How can I make these cookies not vegan? Do I sub the flax seed + water for 1 egg? I made these cookies twice in 3 days… they are perfect. I followed the recipe exactly and mine did not turn out oily like other comments stated. I’ll be making them again soon!